It’s the Christmas Trolley in November! I know November is behind us, so this may not help for the moment, but I have something to share with those already planning for next year’s vacation to Walt Disney World: November is a great time to visit! I recently returned from a Veterans Day stay at Walt Disney World and discovered that this particular months offers some perks that other times of the year may not. So stay tuned to find out just why you should visit Disney World in November. While the dates for Epcot’s International Food and Wine Festival do tend to vary from year to year, the festival usually ends the second week of November. What’s great about this is that the last week or two of the festival overlaps the start of Mickey’s Very Merry Christmas Party! Rarely can you catch two big Disney World events in one trip. When I visited Walt Disney World in early November, I loved getting to sample the treats and eats at Epcot’s Food and Wine Festival during the day and then hopping on the Monorail to head to the Magic Kingdom for the party at night or over to Hollywood Studios for the Osborne Family Spectacle of Dancing Lights! (I know, I know… The Osborne Lights is in its last year, but I’m still holding out hope for a new location for this seasonal favorite next year.) 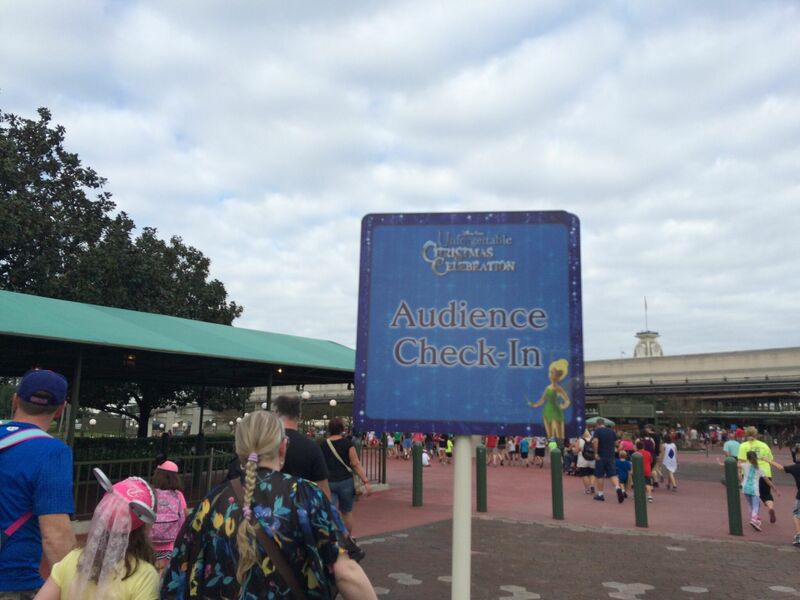 The overall point is: guests can experience some of Disney World’s best special events in one week. Now that’s maximizing the Disney magic! 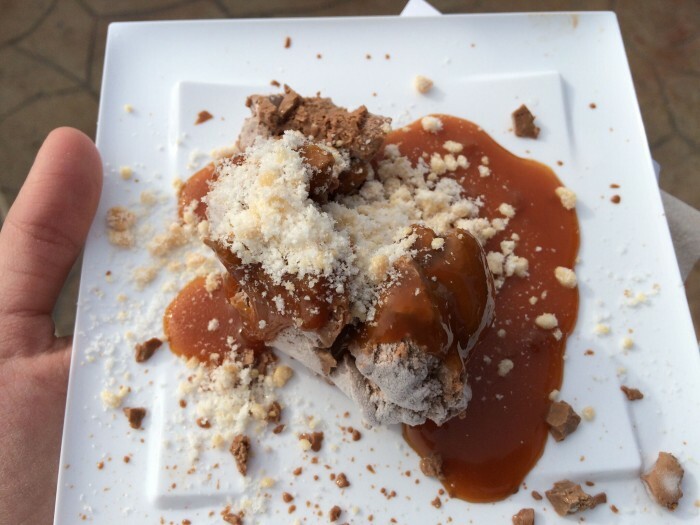 Liquid Nitro Chocolate Almond Truffle with Warm Whiskey Caramel… My fave item at the Food and Wine Festival. While weather these days rarely seems consistent, and November is the tail end of Hurricane Season, Central Florida does offer more ideal temperatures for Disney World guests during this month than what you experience in the summer. For the first half of November, the average temperatures hover from the mid-eighties during the day to the mid-sixties at night; and for the second half of the month, drop to the mid-seventies during the day and then the sixties to even the fifties at night. Here are the benefits with these averages. If guests visit during the first half of November, they can still enjoy a Disney World water park or their resort pool! It’s the best of summer without the blistering heat and crowds. If you visit during the second half of the month you may still be able to enjoy the resort pools (they are heated), but what they will truly appreciate is the ability to walk through the parks comfortably and without sweating! You’ll be surprised by how much you can accomplish in the parks when the temperatures are cooler. 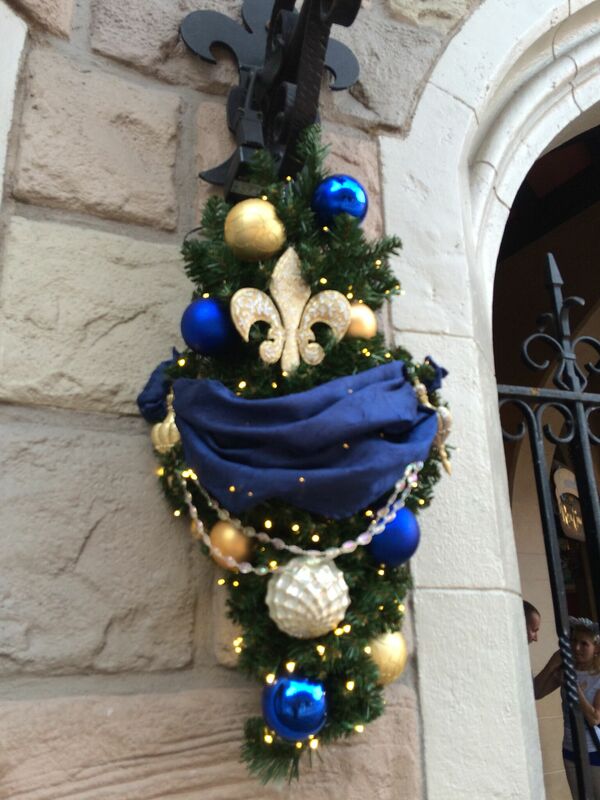 The rear of Cinderella Castle had perfectly themed Christmas décor, don’t you think? Throughout the month of November, the parks progressively begin to decorate for Christmas. The Magic Kingdom is completed first for the start of the Mickey’s Very Merry Christmas Parties. During my visit, the giant tree was already up on Town Square, the wreaths were hung down Main Street, U.S.A., the Dapper Dans had donned their Christmas colors, and even the lands throughout the park had themed decorations of their own. 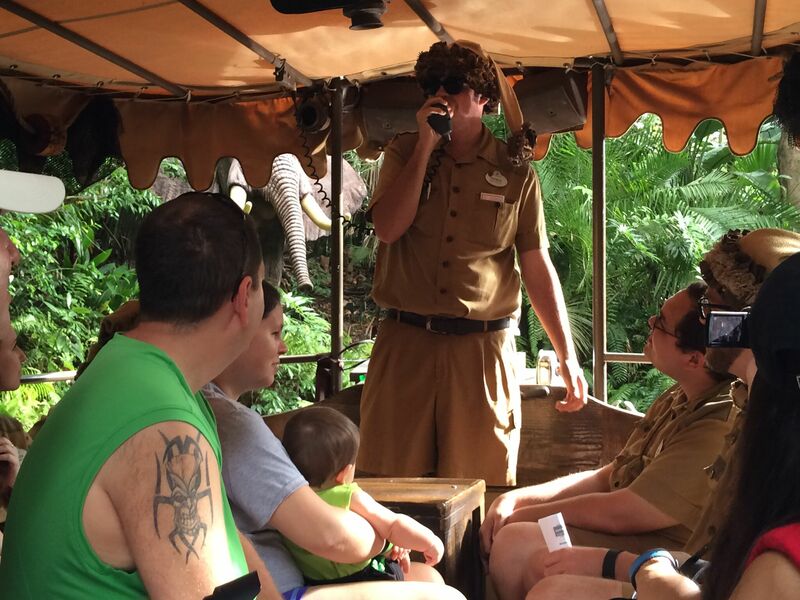 Also, the Jingle Cruise, a Christmas spin on the classic Jungle Cruise, was up and running in early November too. It’s seriously a must-do for anyone visiting during the holidays. Finally, Cinderella Castle is covered in it’s famous icicle lights and a Frozen Holiday Wish, the lighting ceremony for the castle, is performed each night in the park regardless of whether it’s a party night or not. Hollywood Studios, apart from the Osborne Spectacle of Dancing Lights, Epcot, and Animal Kingdom tend to move a bit more slowly in prepping for the season, but are usually ready by Thanksgiving. 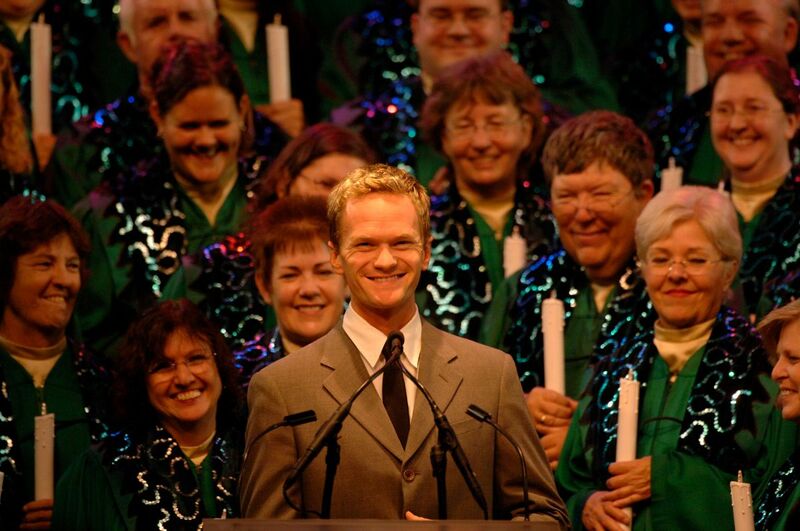 For instance, Epcot’s Holidays Around the World and the Candlelight Processional make their debut on November 27th. Did you notice the Skipper’s khaki Santa Hat? Love all the new details (and jokes) on the Jingle Cruise. Not everyone has the luxury of picking what time of year they would like to visit Walt Disney World. For many, summertime or over a holiday is the only available option; and fortunately, the month of November offers two holidays to take advantage of. The first is Veterans Day, which is when I visited. While Veterans Day is only one day, and this year it was in the middle of the week, it still helps out when it comes to being careful with those vacation days. The next holiday is, of course, Thanksgiving! While the parks are typically crowded on big holidays, the Thanksgiving crowds are not quite as bad as what you find at Christmas and there’s less of an issue with kids missing school than a regular week. Even though it’s not a holiday, I still should mention Jersey Week: This is when many schools in New Jersey have days off of school in the first or second week of November, and what better way to spend it than at Disney World? 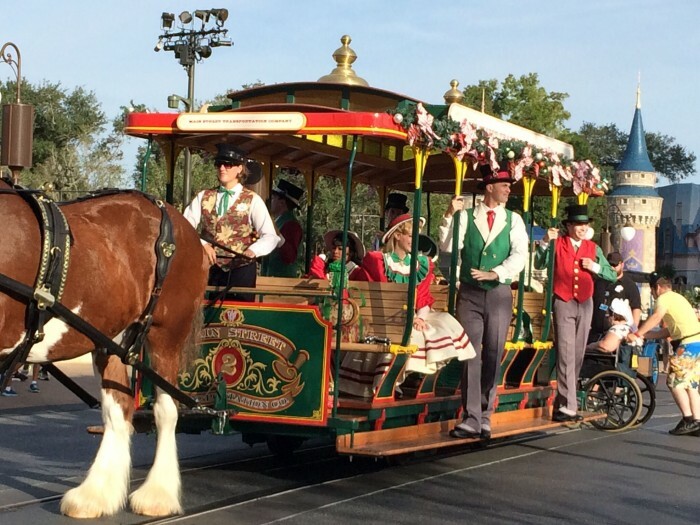 This year, Walt Disney World switched things up and filmed the annual Christmas Day Parade beginning on November 10th instead of the first of December. The parade also sported a new name this year: The Disney Parks Unforgettable Christmas Celebration. If this year’s taping schedule becomes the norm, it could be just another reason for why you should visit Disney World in November. Live performances and the best of Disney World’s floats are on display for guests to enjoy without extra charge. Plus, you and your kids may get to see yourself on television on Christmas morning! I should warn you though that a parade taping takes a long time, includes a lot of stops and starts, and consists of mostly waiting. Also, when I visited the Magic Kingdom for the first day of the parade taping, they were only filming live performances and it took hours before the actual performance took place. Still, it’s awesome to say that you were there and its an experience you can’t get at any other time of the year! 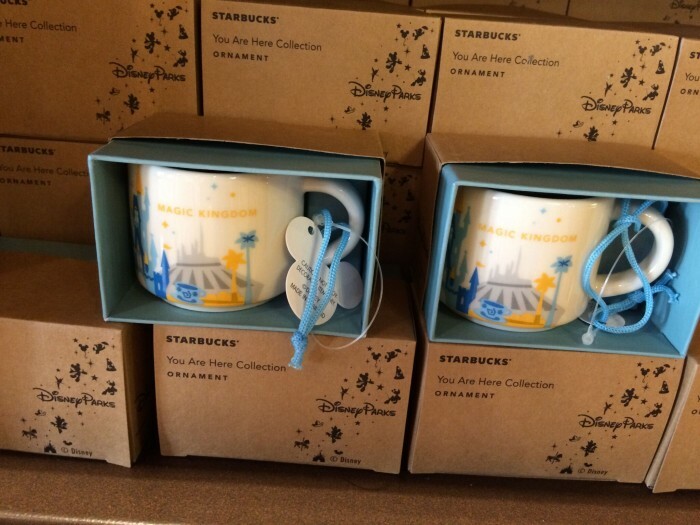 You Are Here Starbucks Mug Ornaments! Love it! So even though Christmas is still weeks away if you visit in November, the Christmas merch is out in full swing from the very start of the month and sometimes even earlier! 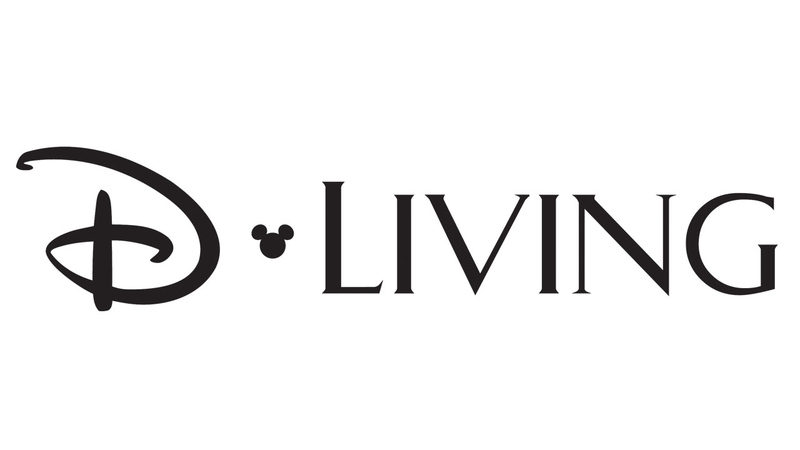 If you like to get your Christmas shopping done early, or are looking to add some Disney to your Christmas décor, this is a definitely a win for you. Also, the Christmas treats are in abundance in November ranging from creatively festive candied apples, cookies, and specialty cupcakes. If you’re a Disney Foodie, like myself, a visit to the Main Street Confectionary just skyrocketed to the top of your vacation to-do list. 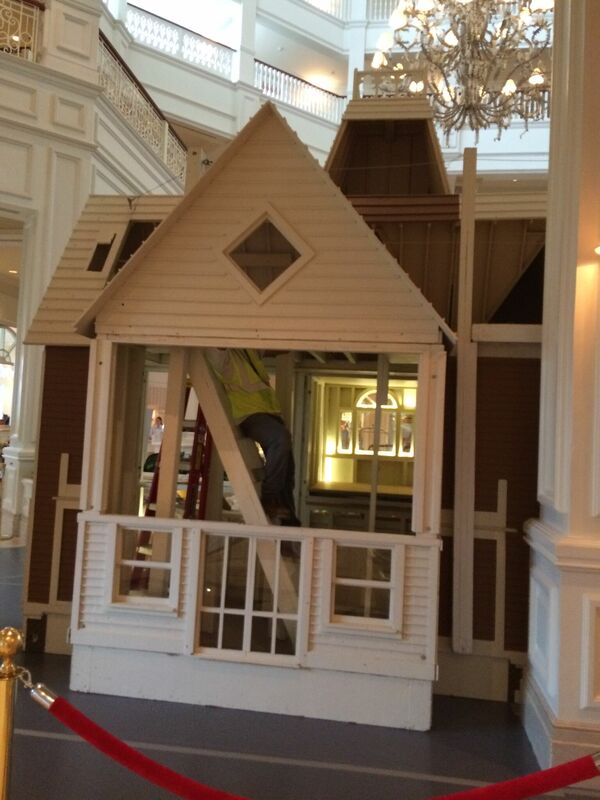 It was fun seeing the gingerbread house take shape! Another reason why you should visit Disney World in November is to see the resort holiday displays; however, this is contingent on when you visit in November. All of the resorts deck their halls for the Christmas season, but some do more than others and they may not be completed until later in the month. For instance, the Grand Floridian Resort constructs a life-size gingerbread house, which also operates as a store, each year in the resort’s lobby. This annual tradition is a big favorite and pins, sweets, and a number of gingerbread creations are sold here for guests to see and taste! As it is so massive it wasn’t completed when I visited, but I did get to see it being constructed. The Beach Club also creates a massive gingerbread carousel to see and the Contemporary Resort features a Frozen gingerbread display, complete with Frozen-themed treats. The other resort Christmas decorations, such as the giant trees and garlands and such, begin to appear gradually throughout the month so you may or may not catch the resorts in all their holiday finery when you visit. Although, typically, all of the holiday decorating is completed by Thanksgiving. November is a great time of year to visit Walt Disney World, particularly if you and your family are looking to enjoy the warm, Florida weather before the (relatively) chilly winter temps set in, the Christmas festivities without the Christmastime chaos and prices, and the chance to enjoy Epcot’s International Food and Wine Festival before it closes out for the year. So that’s just a few reasons for why you should visit Disney World in November. Are you already planning your trip for next year? Have you ever visited Disney World in November? As always, share with me and let me know! We went last year in late November/early December and it was fabulous – the only thing was we hadn’t anticipated how cold it would get in the evenings. Coming from the UK we imagined that “cold” for Floridians would not be cold for us – it was!!! One night we were in Epcot watching the fireworks in T shirts and shorts freezing away but not wanting to drag ourselves away as there were so few people there that we could choose any vantage point. Yes, it can get quite cold at night. Florida’s humidity makes it jungle hot in the summer, but also makes it bone chillingly cold at 60 degrees come November. That humidity really exaggerates the weather spectrum. We were there right before you and it was in the 90’s everyday. The real heat snap broke on Veteran’s Day. We loved the fact that we were able to do 1.5 days at Food and Wine and still enjoy the first day of the Mickey Christmas Party. Our kids loved meeting Santa Goofy and the rest of holiday decor. While the World Showcase was understandably crowded, the rest of the parks didn’t feel overly crowded. While it was more crowded than when we’ve visited in September in the past, it was still very doable. Gus, I agree. It was a little on the crowded side. I think September is a lot less busy, but I too was able to do what I planned without the difficulties you face in the summer. So glad you enjoyed your trip and the holiday festivities! We LOVE going in November! A couple years ago we went Nov 1st through the 10th. Our first day there was the last Halloween Party, two days before we left was the first Christmas Party, we caught the tail end of the Food & Wine Festival and the beginning of the Osborne lights. We went from Halloween decorations at the beginning of our trip to Christmas decorations at the end. None of us are true fans of heat or crowds. It was hot enough during the day (not melt your face/sweat like a pig hot)to swim but nice and breezy, cool and comfortable at night. We rode and saw everything we wanted to, didn’t wait more than 20 minutes for anything (although, I might have to attribute that to going to the parks early, utilizing FP+ and the touring plans lines app). We also ate at every restaurant we wanted. Most reservations were made well in advance but we we were able to make a couple adr’s the day of. Dawn E, so glad you enjoyed your November visit too! Thanks for sharing your personal experience and I too agree that it would be even more perfect with the Flower and Garden Festival. It’s one of my all-time favorite events! Thanks for commenting.